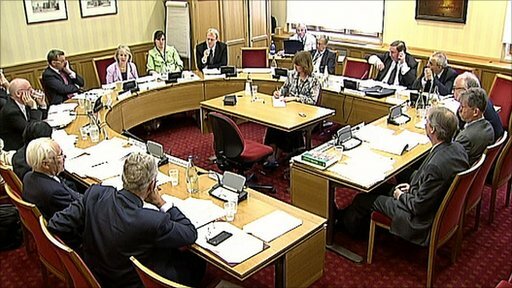 An elected House of Lords could exercise its powers more frequently, the Lords' Constitutional Committee has heard. Academics Prof Robert Blackburn, from Kings College London, Prof Robert Hazell, from the Constitution Unit at UCL and Peter Riddell, from the Hansard Society, were giving evidence on constitutional affairs to the committee on 21 July 2010. Deputy Prime Minister Nick Clegg has announced that the coalition government will try to undertake a number of constitutional reforms. In response to a question from Lord Irvine about an elected House of Lords, Prof Hazell said that an elected House of Lords might perceive itself "to be more legitimate" because of its elected status, and therefore exercise more frequently the powers it has. He pointed to research that showed how often the Lords amended legislation against the wishes of the government and how often those amendments stuck. He said research showed that four out of 10 times, a Lords' amendment remained. He said that if the House did feel more assertive as a result of being elected, it might want to face down the Commons rather more often. He said that could result in "harder games of ping-pong". Reform suggested by Mr Clegg include a referendum on changing the voting system, reducing the number of MPs and equalising the size of constituencies. The Boundary Commission would be asked to redraw the constituency map, so each has roughly the same number of voters, by the end of 2013 - allowing new constituencies to be used in the 2015 general election. However Labour have attacked these plans as "gerrymandering". Mr Clegg has also faced criticism for planning to hold the referendum on voting reform on the same day as elections to the Scottish Parliament and Welsh Assembly.